Saxo has a great research service, its proprietary research team constantly feeds trade ideas. 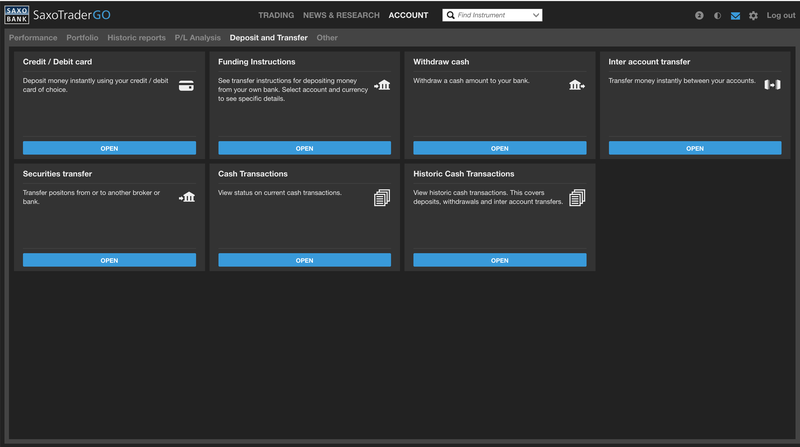 The Saxo trading experience is driven by a great, and well-designed Saxo trading platform to execute the trades. Saxo's product portfolio is wide, can serve even heavy traders. Saxo's forex, bond, options, and futures trading fees are high. The account opening is slow as it can take more than 3 days. Its live chat customer support is missing. EURUSD fee High The fees are built into spread, 0.6 pips is the spread cost. Using VIP pricing the spread can be as low as 0.4 pips. We compare Saxo Bank fees with its peers, Swissquote and DEGIRO. We analyzed the fees of Saxo UK. The fees can vary from country to country, but Denmark, France, Norway, Australia, Singapore, Hong Kong, the United Arab Emirates, and Russia have similar fees to the UK. Saxo has average trading fees. The fee structure is transparent, you can easily calculate the costs. The fee structure differs from account type to account type. We analyzed the fee structure of the "Classic" account. The Platinum and VIP accounts have more favorable pricing structure. We recommend Saxo if you want to get a high-quality service and you are prone to pay a bit higher cost. If you want a bargain, there are discount brokers out there. Saxo Bank's stock and ETF fees are average. It is cheaper than Swissquote but more expensive than DEGIRO. The fee structure is volume-based, but there is a minimum fee. Saxo Bank's forex trading fees are high. Saxo applies a spread-only fee structure, i.e. you have to pay only spread and not commission. You will have to pay a 0.2% volume based commission and a minimum fee. The minimum fee is also very high, €80. Saxo Bank's options fees and futures fees are also high. The same pricing applies at options and futures for stock indices and commodities. Similarly to the stock options, the fees depend on the currency of the underlying product. Saxo Bank CFD fees are average. Saxo Bank stock CFD fees are volume-based and have a set minimum. Trading fees of index-tracking, commodity, forex and bond CFDs are built into the spread. At Saxo Bank you can trade cryptos through exchange-traded notes, e.g. ETNs. Bitcoin and Ether ETNs are available on the Stockholm Stock Exchange. The trading cost at classic account is 0.1% of the trading volume with a SEK 65 minimum. 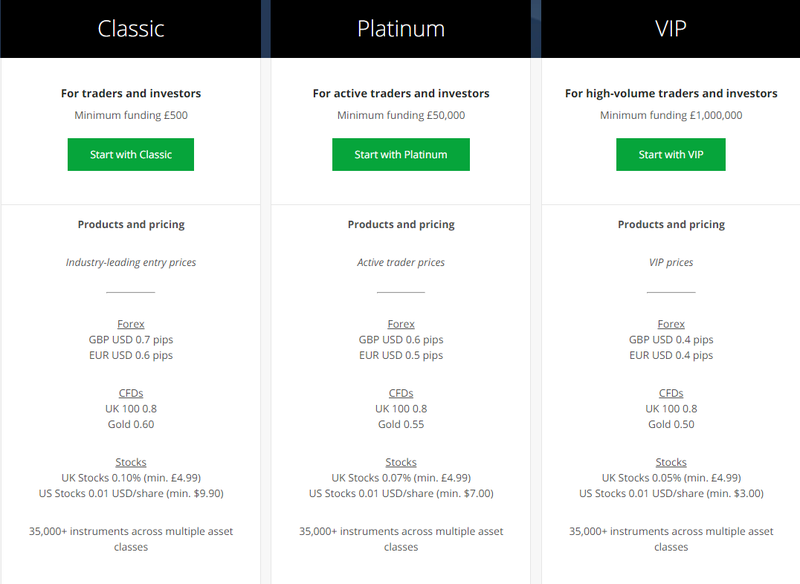 Using VIP pricing the commission can be as low as 0.05% with a SEK 50 minimum. If you want to understand what is a crypto ETN check out our crypto blogpost. Saxo Bank financing rates are one of the highest in the market. If you trade with stocks, ETFs, or bonds, there is also a custody fee. This is an annual 0.12% of your open positions or minimum €5/month. Currency conversion is another fee category which could be important if you trade assets with a different currency than your account currency. The currency conversion rate is calculated as the following: mid FX spot rate +/-1%. Almost anybody can open an account with Saxo Bank. There a few exceptions, i.e. the residents of US, Iran, Cuba, Sudan, Syria or North Korea. Some Canadian residents from Ontario, Newfoundland, and Labrador are also prohibited due to local regulations. At Saxo Bank UK the minimum deposit is £500. The mimimum deposit can be higher in other countries. For exmaple, it is $10,000 for Middle-Eastern and South African residents and $250.000 for Turkish residents. Also, the minimum deposit is higher for Platinum and VIP. With Platinum and VIP accounts you will enjoy more favorable pricing structures and you will get a personal relationship manager. 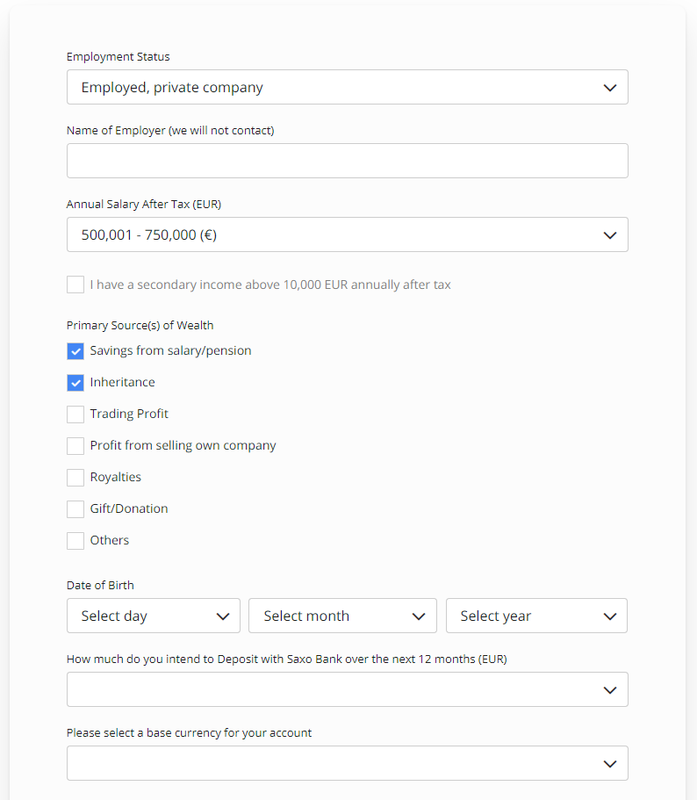 If you are from the UK, you can open the tax-efficient ISA/SIPP accounts as well. The account opening is seamless, fast, and fully digital. Your account will be ready in 3-4 days. After approval, you should fund your account and start trading. The funding can take 1 to 5 business days depending on the funding method. Saxo has 32 account base currencies. Not all 32 are available for all nationalities, but ~20 account base currencies are usually available. This offer is great compared with other brokers. DEGIRO offer only 9 base currencies. Saxo deposit fees are free of charge. *Some countries are excluded. You can check it on Saxo Bank’s website. The bank transfer can take from 1 to 5 business days. If you use the credit/debit cards, the money is credited to your account immediately. You can also transfer stocks and bonds to Saxo. Saxo withdrawal fees are free of charge. Saxo Bank doesn't provide information about how long a withdrawal takes. We tested it and it took 3 business days. 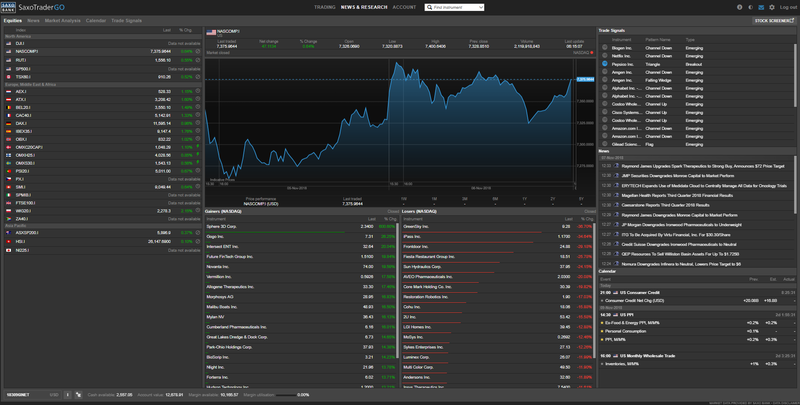 Saxo's web trading platform is the SaxoTraderGO. 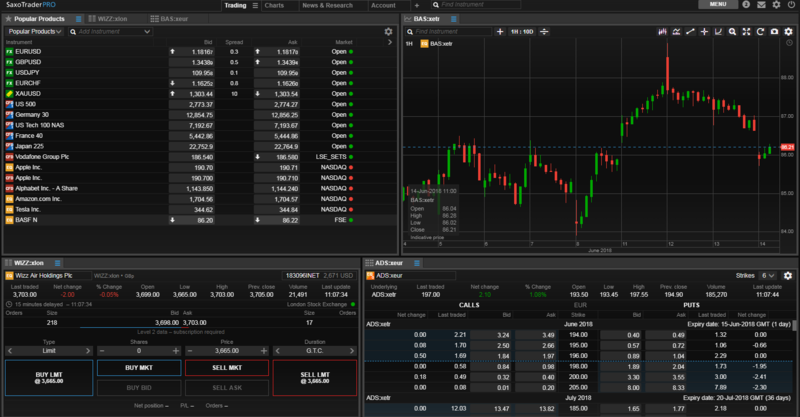 The desktop-based trading platform is SaxoTraderPRO. Both are developed by Saxo. The platform is available in 25 languages. This is one of the most extensive offers. 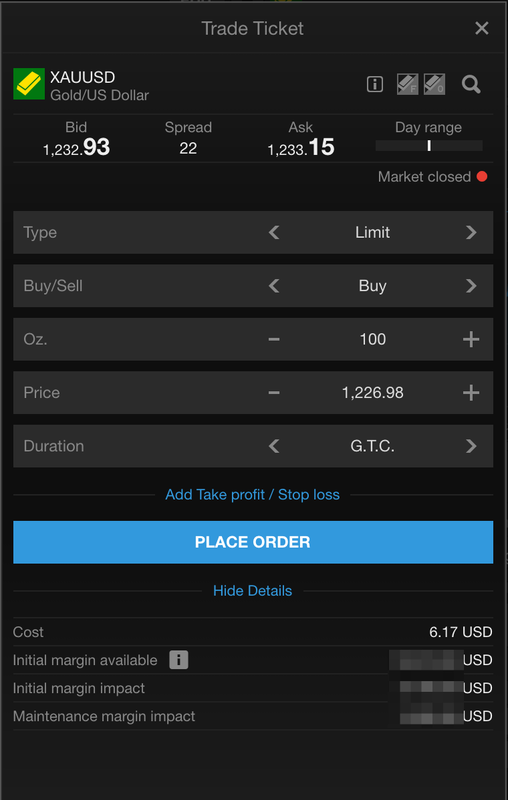 SaxoTraderGO is a great platform, we really liked its design and user-friendliness. Both the first timer and the professional traders will get familiar with the platform in a very short time. The platform's customizability is not a strong point. You can change the different tabs' sizes, but can't change their positions. Saxo Bank only provides a one-step login. However, if you have a VIP account, you can have a more secure, IP address linked Saxo Bank login. We think they should offer the safer login to every customer. We at Brokerchooser really liked Saxo Bank’s search function. It clearly classifies the results into different asset classes. 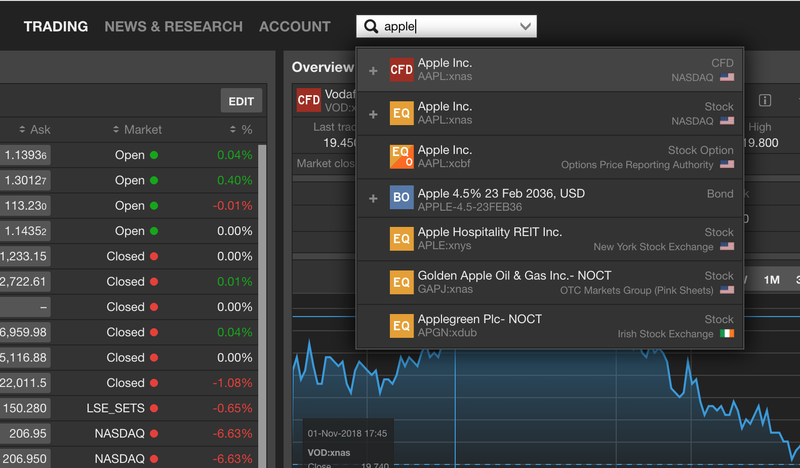 For example, if you search for Apple, the results will show Apple stocks, CFDs and options as well. Furthermore, if you click on the drop-down button, you can also filter for the asset classes. 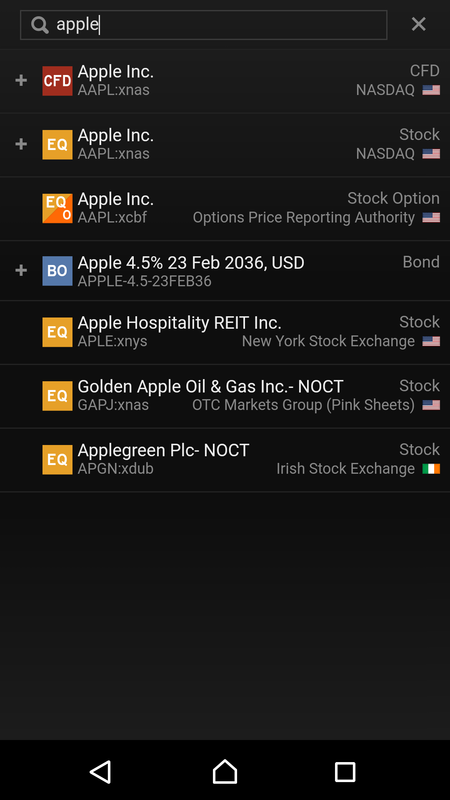 Within the stocks, you can also filter for regions. You have a good range of order types and order terms. If you are not familiar with the basic order types, read this overview. You can see all fees of the to be traded instrument. We really liked this feature. You can also set if you want to get the notifications on the platform as a pop-up message or on email. Portfolio and fee reports are transparent at Saxo Bank. You can see and download reports on the "Account tab". It clearly shows what is your historical profit/loss balance and how much costs you paid. Saxo Bank's mobile platform has the same look, user-friendliness, and almost the same functionality than the web platform. Saxo Bank's mobile trading platform is available for both iOS and Android. In this review, we tested it for Android. The platform's look, login, search function, orders, and alerts are the same as the web trading platform. Only the platform's user-friendliness lags behind the web trading platform. The menu is not structured and not so easy to find what you are looking for. Saxo Bank's desktop trading platform is one of the best desktop trading platforms on the market. It is easy-to-use and well-designed. It has also a great customizability. 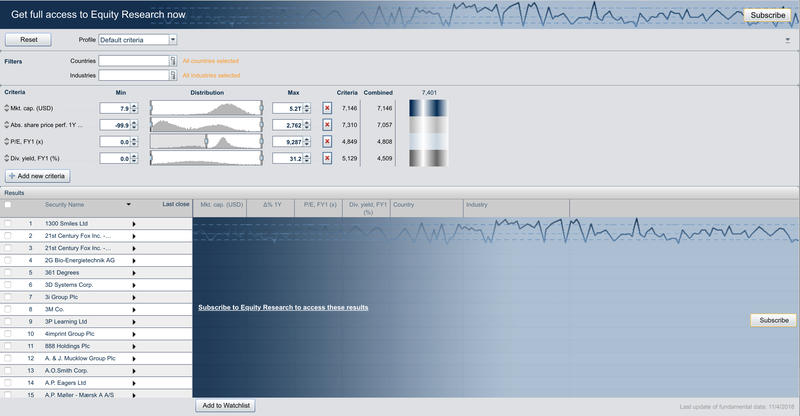 SaxoTraderPRO is Saxo Bank's desktop-based platform. It is almost the same as its web-based equivalent. The main difference is the customizability. 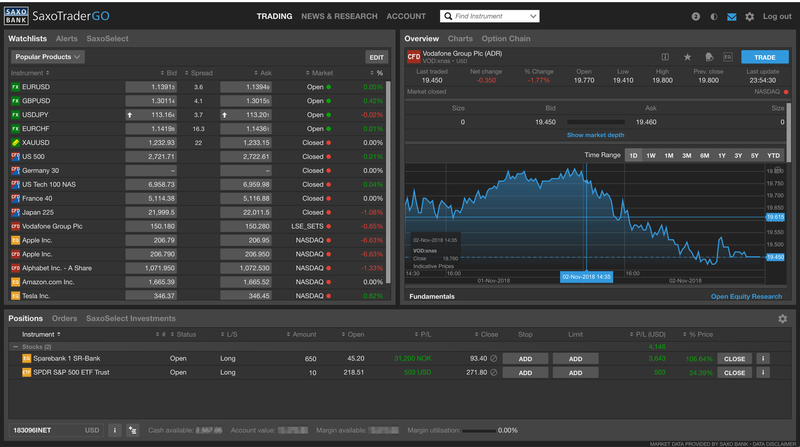 On the desktop trading platform you can better customize than at the web trading platform You can use six windows at the same time and create your own trading environment. Each window is fully customizable in size and position. Saxo's futures offer is great. You can reach 23 global future markets, and trade with the following underlying: commodities, stocks, indexes, bonds, and currencies. CFDs are complex instruments and come with a high risk of losing money rapidly due to leverage. 72-74% of retail investor accounts lose money when trading with this provider. You should consider whether you understand how CFDs work and whether you can afford to take the high risk of losing your money. Saxo Bank has a well-developed CFD spectrum with stock, index-tracking, commodity, forex and bond CFDs. You can invest into Bitcoins through ETN instruments traded on the Swedish stock exchange. If you want to know more about crypto investing, we recommend our how to invest in Bitcoin, Bitcoin ETNs, CFDs and futures guide. SaxoSelect is kind of a mix of mutual funds and robo-advisory. It is great if you don’t want to manage your investments on your own. According to your risk appetite, you can choose among balanced portfolios, equity portfolios, and trading strategies. The minimum investment usually starts from $20,000 though. The annual management fee ranges between 0.5% and 1% plus a 10-20% performance fee. Saxo Bank's research is great. You get clear recommendations, can access to fundamental data, and use technical analysis tools. 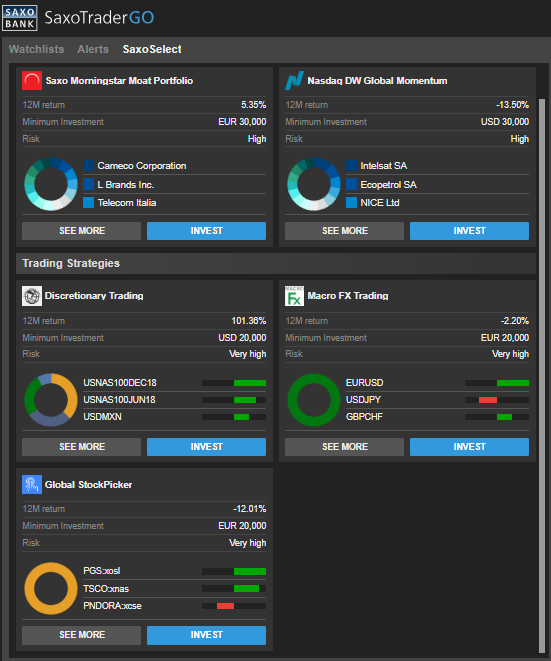 You can use research tools from the web and desktop trading platforms or from the tradingfloor.com, which is a separate page operated by Saxo. You will find many analyses and recommendations both on trading platforms and on tradingfloor.com. Saxo provides very detailed stock fundamental data. However, only a few are for free, namely: Apple, Microsoft, Barclays, Nestlé, Siemens, Telefonica, Nokia, ENI, and Hennes & Mauritz. For other stocks, you have to subscribe. You will find both current and historical data. They include information, like the ownership structure, financial statements, valuation, peer group comparison, etc. On top of that, if you want to benchmark your own analysis, analyst consensus and target price information are also available. You can check out the winners and losers of the larger stock exchanges, read the related news and see the related trade signals and calendar events. The interactive chart function is also great and user-friendly. You will find ~50 technical indicators and can add many editing tools, like trendlines or Fibonacci tools. 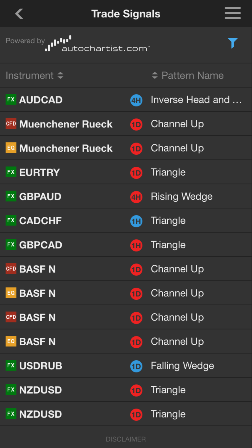 In addition, there is a trading signal tool which gives a buy or a sell signal based on technical indicators. This feature is powered by Autochartist, a third-party research company. There is a news feed and an economic calendar on the trading platforms. The news can't be filtered by assets, only by the news provider. You can also find news, daily comments, long-term outlooks and expert opinions on tradingfloor.com. There is a great stock screener. 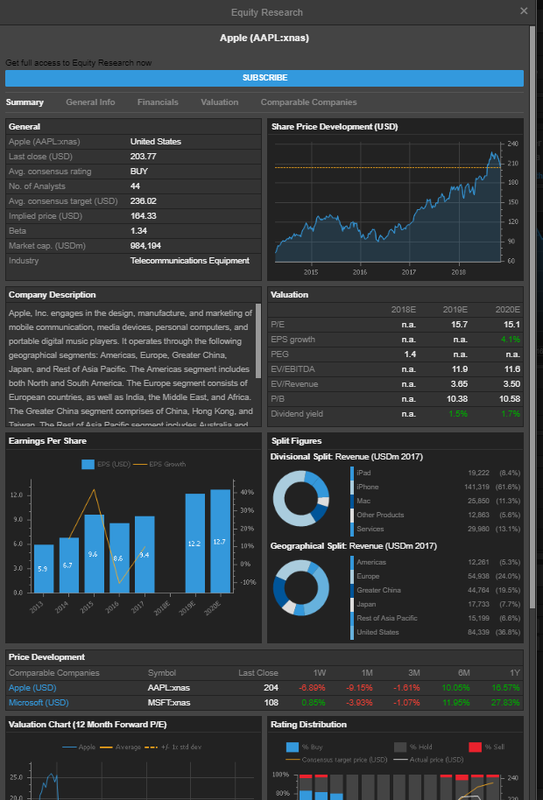 You can filter stocks by country, industry, and financials. For example, if you are searching for tech companies in the US with a P/E of less than 15 and a market cap higher than USD 1 billion, this is basically a two-click exercise in the screener. 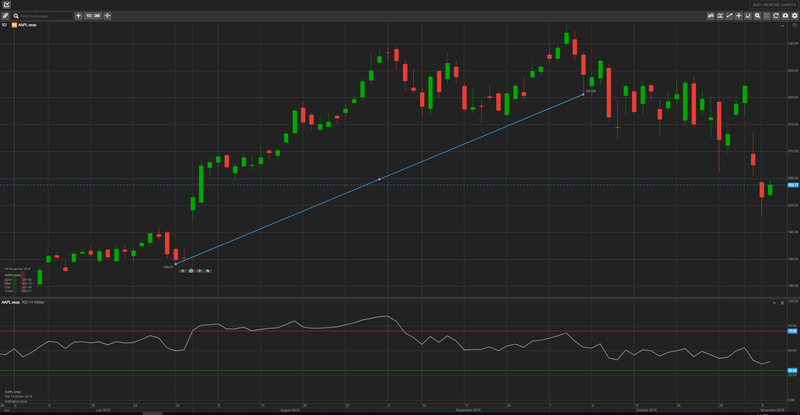 Saxo is catching up with the social trading. 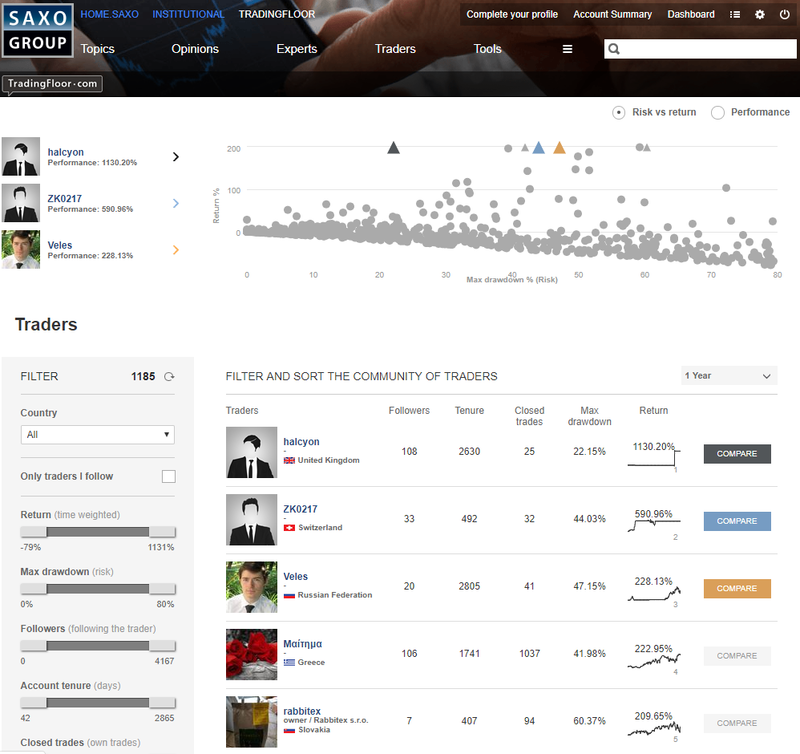 On tradingfloor.com you can check and follow other Saxo traders strategies and performance. 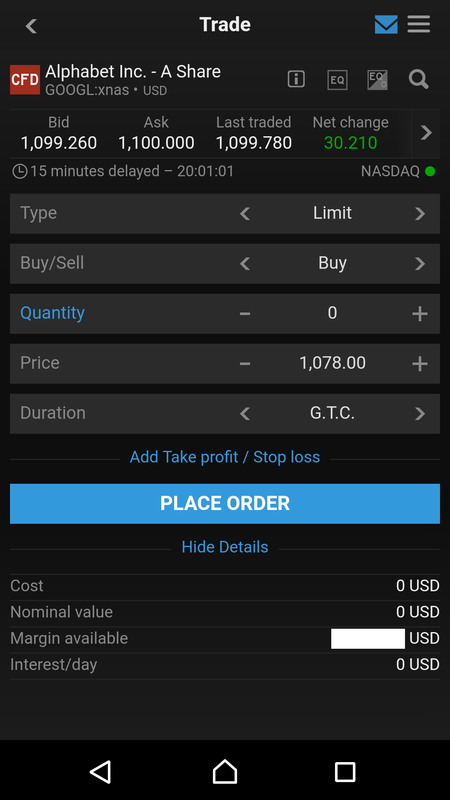 You will be notified about new and closed trades. However, the system does not automatically copy the trades as it does at eToro. Customer support is average at Saxo. You can reach out to them in many languages, but there is no live chat and 24/7 availability. You can reach out them in many languages, including minor ones, like Hungarian. Saxo's customer support was ok. On phone we got relevant answers, but the response time was slow. On email we got answers mostly within a day, but some of the answers were not relevant. We missed the chat function and the 24/7 availability. We had also an annoying experience with the pushy sales team, who called us several times trying to get us to fund our account. To improve your financial knowledge, Saxo Bank has a lot to offer. You can use a demo account, attend webinars, or watch educational videos. You can use the demo account for getting familiar with the platform. 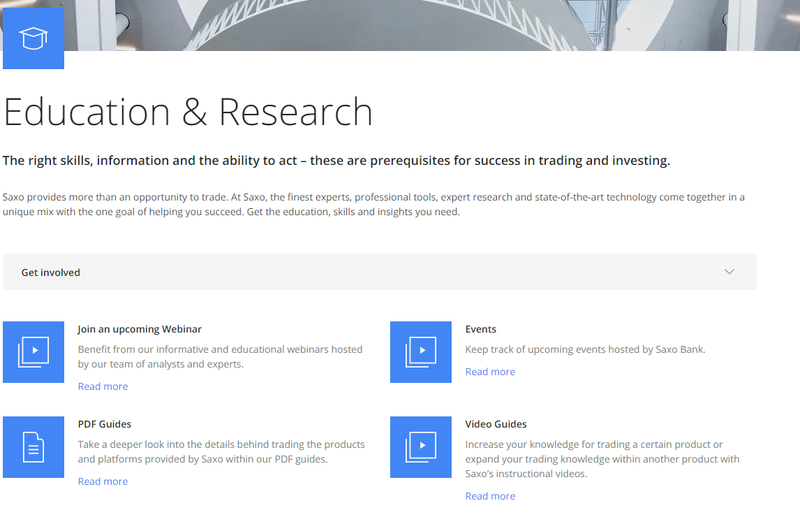 We think it is the best way to learn how Saxo's trading platform works. You can also attend online webinars held by Saxo experts or become a “student” at the Saxo Academy, where you can choose from tons of online educational videos. The quality of these videos is great. Saxo Bank is regulated by several financial regulators, including the top-tier FCA. It is also a fully licensed Danish bank and provides negative balance protection. On the flip side, Saxo is not listed on any stock exchanges. Is Saxo Bank safe? To be certain, it is best to check two things: how you are protected if something goes south and what the background of the broker is. Saxo Bank operates globally through ~10 different entities. This matters because the entity you are a client at, defines amount of protection you get. Monetary Authority of Singapore. Co.
Japan No protection Japanese Financial Services Agency Saxo Bank FX K.K. HKD 150,000 for exchange-traded products in HK Securities and Futures Commission in Hong Kong Saxo Capital Markets Hong Kong Ltd.
Saxo provides negative balance protection for CFDs which also can be an additional security line. Saxo Bank was established in 1992. The longer the track record of a broker, the more proof we have it had already managed previous financial crises. More than 25 years for Saxo is already solid. Furthermore, Saxo Bank has a banking license, as such, it is facing tougher regulation than brokers. On the other hand, Saxo is not listed on any stock exchange which could mean more scrutiny and transparency. On the other hand, Saxo discloses its financials transparently, and it is easy to access. Having a bank license and being regulated by the FCA are all great signs for Saxo's safety.